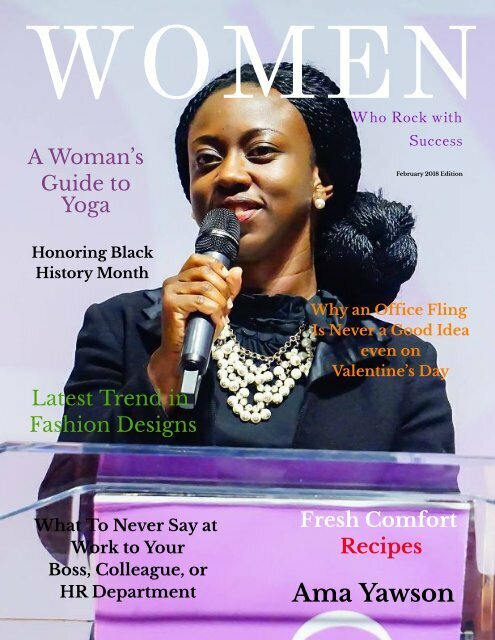 Women Who rock with Success features Attorney at Law; Ama Yawson for the month of February. Women Who Rock with Success is a networking-digital media platform for professional and entrepreneurial women. Page 31 and 32: Am a Yawson Esq.